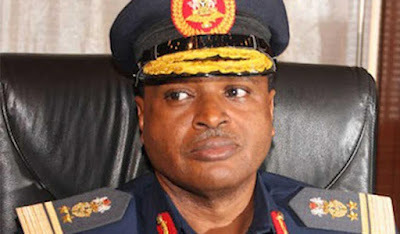 The Chief of Air Staff, Air Marshal Sadique Abubakar, on Friday said the Nigerian military was still expecting to take delivery of 18 fighter aircraft from the United States of America and Italy to boost the counter-insurgency operation in the North-East and other operations across the country. Abubakar said the 18 aircraft were the much-talked about 12 A-29 Super Tucano aircraft from the US and then six Agusta 109 power helicopters from Italy. The air chief stated this in Kaduna State at the graduation of 769 Nigerian Air Force personnel who were drawn from the Regiment, Air Police and Intelligence specialties. The personnel were trained by the British Military Advisory Training Team and the Four Troop Team at the Regiment Training Centre, Kaduna. The air chief said, “The desire to make the NAF the best in the sub-region necessitated new platforms, equipment and specialised training. The Commander-in-Chief of the Armed Forces, President Muhammadu Buhari, has given us priority attention which has resulted in the acquisition of 18 new aircraft in the last three years. “We are also expecting another 12 A-29 Super Tucano aircraft and six Agusta 109 power helicopters from the United States and Italy respectively. “This will no doubt contribute to the fight against insurgency and other forms of criminality whilst also enhancing the execution of the NAF Base Defence Architecture.